In the airline industry, companies evaluate flight attendants’ work ethic based on a number of behavioral indicators. Indeed – the online career platform – recommends hiring candidates who are “poised and resourceful” especially since they will move in a socially diverse and physically demanding environment. At JetBlue Airways, for example, the hiring team recruits flight attendants who are helpful – but this wasn’t always the case. The lesson came with the aid of data analytics. In the past, JetBlue considered candidates’ ability to be friendly to passengers as the most important attribute of flight attendants. The hiring team used psychological assessments, structured interviews, and video interviews. “We had always looked to find the nicest people we could possibly find to be in the sky with [customers],” said Ryan Dullaghan, JetBlue’s general manager of people data insights. When the company conducted a customer data analysis with the Wharton Business School, the feedback from passengers set the company on a new trajectory. Intuitively, choosing an amiable flight attendant made perfect sense. But customer data showed being helpful was more important than simply being nice. This new insight led the hiring team to tweak their standards and sift through more than 125,000 flight crew applications received yearly. “Once you get through all the noise and beliefs that people have and identify that right profile, you can have some solid impact in your organization,” said Dullaghan. Better candidate profiling leads to better hiring outcomes, and these in turn lead to higher employee engagement and retention, he said. 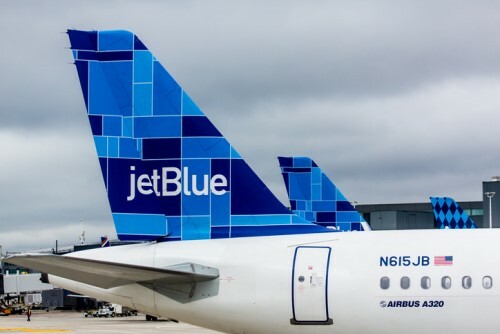 JetBlue has decreased employee absences by 12% and increased customer satisfaction with a half point rise in its Net Promoter Score. “When one point of NPS means a whole lot of money, tweaking your hiring process can have a huge impact on the rest of the company,” Dullaghan said. Can AI pinpoint which employees will quit?